Think your chickens might have them? They need help - and so do you! Here's all you need to know : what they look like, where they come from, how they affect your flock, how to tell you've got them, how to get rid of them and how to prevent them in the first place. What are chicken mites and what do they look like? Their biological name is 'Dermanyssus Gallinae', they're often known as 'Red Chicken Mites', and this is what they look like. This is a very enlarged photo of a chicken mite - they are microscopic. They're a parasite which lives on the outside of the chicken and feeds off their blood. They're actually a light grey in colour before they feed; once they've fed and they're full of blood, though, they turn red. They feed at night when your flock has roosted, so your chickens' feet, legs, breast and vent are particularly vulnerable. Once daylight comes they leave the "host" and hide in crevices and cracks, only to come out to feed again once darkness falls. They feed off the chickens' blood, but can survive without it for up to 34 weeks - which is why it's critical, if you have them, to make sure all bedding is burned, not re-used. Mites are tiny. You may not even know you've got them. So, how can you tell? How do you know you've got mites in your coop? Examining your flock individually, you'll see clumps of mites, particularly around the base of the feathers and the vent. To be sure they are definitely what you're dealing with, go into your coop at night with a torch and a piece of white paper. Check along the perches. If you have a large number, you may well be able to see them. Rub the paper along the bottom of the perches. Does it have red smears? If it does, it's confirmed - you have red chicken mite to deal with. Red mites can often be found on roosting perches at night. Will they just go away eventually? If not dealt with, an infestation can lead to death because the chickens become so anaemic that they become prone to infection. Even if you find them before they have a chance to reproduce much, they'll be causing your chickens pain. Imagine being trapped in a small room with mosquitoes biting at you, and being able to do nothing to escape. So if you have any suspicion at all that you have red mite, make sure you don't ignore it. It's not nice to have to deal with it, but better that than cause your chickens pain and possible death. Getting rid : where to start. Firstly, whether you're going to use chemicals or not, there are steps you need to go through to prepare for treatment. Remove your chickens from the coop. Don't try to treat it when they're around. Now take everything out of the coop - and I do mean everything - and clean it. Bedding, roosts, feed, nest boxes, feed bins, any containers or implements - everything. Mites are ace at finding places to hide, and it must all be meticulously cleaned if you're going to be rid of them. An organic product is available (see this section), or use a liquid version of the chemicals in this section. Burn the bedding and replace with fresh. If you don't burn it you run the risk of never getting rid because there will be eggs and larvae as well as the mites themselves. Don't put bedding back down that's been stored in the coop - bales of straw, for example. Buy completely new, and burn everything else. No matter how comfortable your flock might look, if you have mites ALL bedding must be burned. How to get rid of mites : organic / natural methods. Fire : You'll see some information around the internet suggesting the only 'natural' way to get rid of chicken mites is to burn them with a blow-torch. Why not? Simply because fire and chicken coops just don't go together. A wooden coop and roosts, flammable bedding, and flames aren't a good combination. Fire can spread very quickly, and with tragic results. Predator mites : this involves introducing a second mite into your coop which feeds on the red mite. 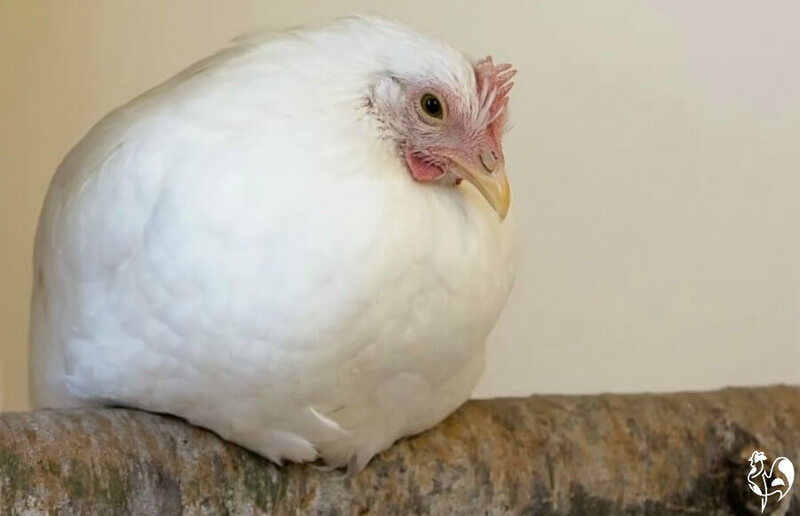 I haven't used this personally, but there's a great article at this link by my friend and expert poultry keeper Tim Daniels, who has used it with success. Poultry Shield (click to buy UK) : Only available in the UK in its liquid form, this is an organic, non-toxic product which is very effective at getting rid of mites from coops. Use it regularly for prevention, too. In the US, although it's not possible to buy the liquid version, you can order its powder form for importation from the UK. Click this link to order from Amazon now. (affiliate). Wood ash : Yep - plain old ash from a wood fire. Do not use ash from a fire which has burnt treated wood, or any other substance - it must be pure wood ash. Some people swear by dusting chickens thoroughly with this in case of an infestation. 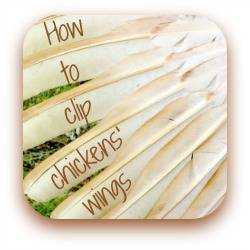 The easiest way is to put it in a bowl or bucket, and rub it into the feathers, particularly under the wings and around the vent. A note of caution : If you're using this, make sure it is bone dry. Wet wood ash is caustic and will burn your chickens' skin. Diatomaceous Earth (DE) : Personally, I don't use this. It's made of tiny particles of fossilised remains, which have very sharp edges which cut and dehydrate the insects. There's some evidence that it's bad for the respiratory tract in chickens if used in dust baths. Many people do use it, though, and recommend it highly for mite control. It's really a matter for you. If you want to have a look at what other people say, clicking this link will take you over to Amazon (affiliate) where there are many, very positive, reviews. Make sure you buy the food grade DE if you do decide it's for you. Herbs : If you already have an infestation, herbs are not likely to get rid of mites quickly enough. 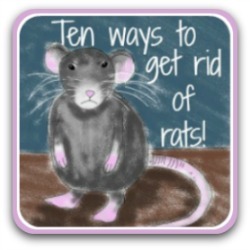 As with an infestation of rats, you might have to bite the bullet and use an insecticide first - and then opt for prevention methods by herbs. Pennyworth and peppermint are both natural repellents. Use them dried, and sprinkled in your chickens' dust-bath and coop. How to get rid of mites : general advice about chemical treatments. I like to try natural methods of pest control wherever possible - whether it's with a rat infestation, or these pesky insects. However, because they are so adept at survival, mites are notoriously hard to get rid of, and sometimes chemicals are the only answer. if the infestation is really bad, you may have no choice but to use a chemical powder to get the insects under control, followed by the gentler, more natural methods of prevention described above. Use protective gloves and a good mask. On no account breathe in the dust. Keep away from children and from pets. Do not use outside on a windy day! Keep as much control as possible over the spread of these powders. Use away from areas where "good" garden insects like bees fly. Most are fatal to bees - it's one of the reasons the bee population is declining. Take note of the warnings on each product. Some are poisonous to cats, some to waterfowl. To apply, hold the chicken's wings away from its body and, whichever dust you're using, sprinkle it thoroughly underneath the wings and in the vent area. Do not sprinkle liberally over the chicken; in particular, avoid the head area. 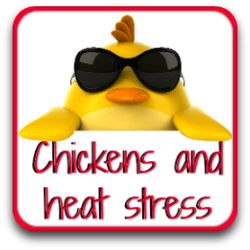 Even if only one chicken seems to have mites, you will need to treat the whole flock. It's likely that the others have latent eggs, which will hatch in a few days unless treated. Treatment must be carried out three times, with one week in between each treatment. This is to make sure all the larvae are killed, as well as the active mites. 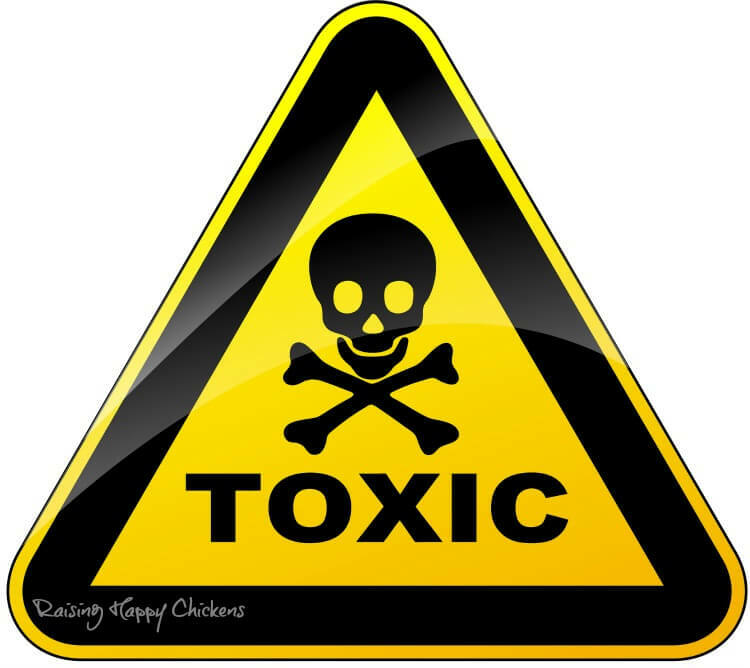 Look out for these chemicals named on products available commercially. If you're at all worried about side effects, ask your veterinarian's advice. Sevin dust : I avoid using this because it's very toxic, and one of the worst killers of bees. There's no doubt, though, that it does get rid of mites. 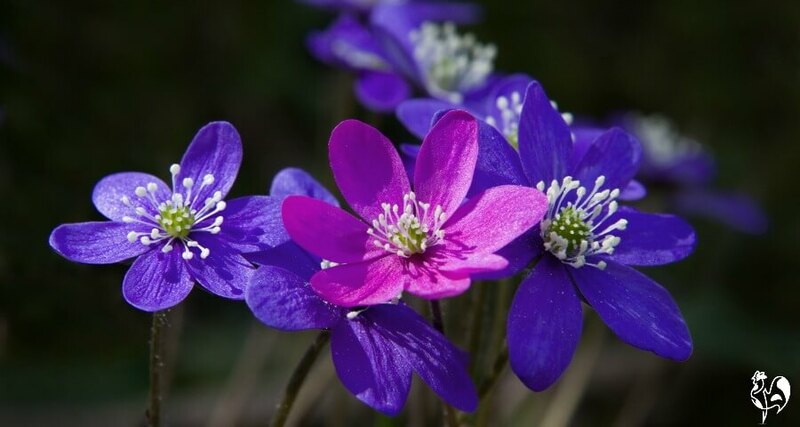 If you use it, keep it away from flowering plants where bees congregate. Ivermectin : Used in humans to get rid of scabies, head lice and bed bugs. They work by entering the bloodstream and, when the bug bites, it ingests the drug and is poisoned. It works in much the same way with chickens. It can have side effects, both on the chickens and on humans (which is why protective gloves and a mask should be worn). It's are also toxic to waterfowl ( so don't use it on ducks), some collie-type dogs, and kittens, so be careful. Permethrin : This is the product I use if I need to get rid of a bad infestation. It's less toxic to mammals, apart from cats who are particularly susceptible to its toxicity, and fish. So keep it away from water sources and ponds. How can you prevent them in the first place? Prevention, as we know, is much better than cure. There are a few, fairly simple, things we can do to make mites in the coop less likely. 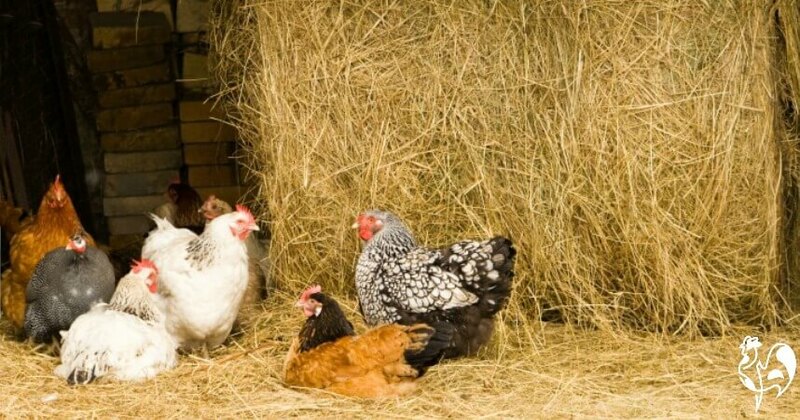 Good husbandry - keeping your coop, roosts, nesting boxes and all tools clean will go a long way towards preventing the problem in the first place. Regular inspections of your flock's feathers, particularly under the wings and around the vent, will help stop mites really taking hold. Checking your coop, particularly underneath roosts and in cracks and crevices, can identify the problem before it becomes too bad. Remember though - the best time to do this is at night. 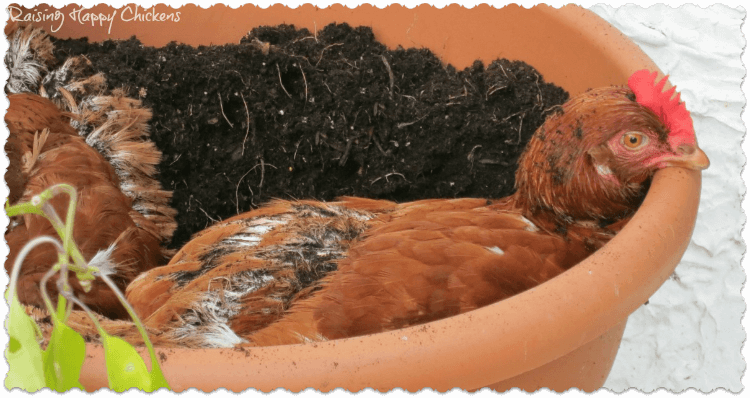 Adding herbs to your coop and to dust baths won't hurt, may help - and will certainly smell nice! I tend to use dried lavender, just because it grows well where I live in Italy, and a mix of others. You can read about them in my free downloadable book, 'Raising Healthy Chickens", if you don't already have it. Click this link to find out how to get it. Providing dust baths for your flock is probably the single most important thing you can do. It's the way chickens keep themselves clean. Quite often, they'll find their own favourite place for a dust bath (mine prefer my plantpots!) but in winter particularly, that's not as easy to do without your help. A container (my largest one is the hard plastic lid of a child's paddling-pool) with a good quality construction sand is ideal. My chickens actually prefer potting compost, and many people use wood ash - but, as I said above, if using wood ash make sure it is completely dry. If it gets wet it becomes caustic and will burn your poor chickens' skin. Claudia Chicken, who prefers to use my plantpots as a dust-bathing spa! If this article has been helpful, you might also like these. Click on any of the images to go to a full article. 1. Haag-Wackermagel, D, and Bircher, A : 'Ectoparasites from feral pigeons affecting humans'. Pub. Journal of Dermatology, 2009. 2. 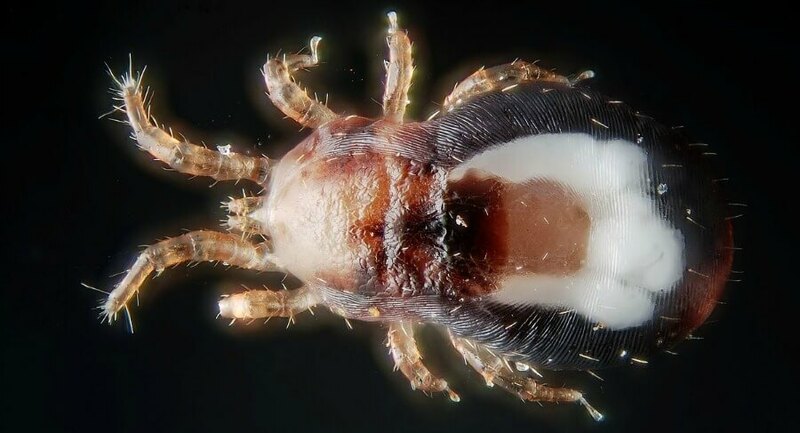 McCrea, B., et al : 'Common lice and mites of poultry - identification and treatment'. 3. Damerow, Gail : 'The Chicken Health Handbook' (2nd edition).